As they say, presentation is everything – that goes for not only what is on the plate, but also your surroundings. The cosy atmosphere in our dining rooms creates the perfect setting for an excellent meal. Each parlour has its own style – but the one thing they all have in common is alpine elegance. Decked out in red velvet, the Fürsten parlour is reserved for adults only. The Wendler parlour is reserved for families on winter or summer holidays with children, and the Gasteiner parlour and Bismarck parlour are perfect for sociable guests. In these elegant alpine-style dining rooms it is easy to strike up a conversation and meet other guests, make new friends and enjoy a pleasant time together. You can also reserve a quiet table if you’d prefer to have some privacy, and guests travelling alone can also book single tables. 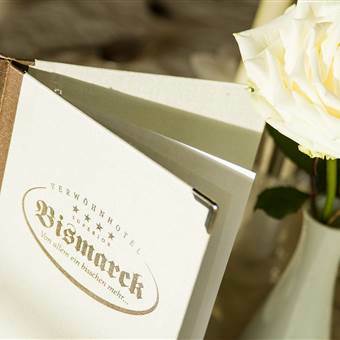 Dinner at the Hotel Bismarck is a comfortable yet stylish affair. For this reason, we kindly ask you to wear casual yet smart clothing for meals. We appreciate elegant attire for our hotel holiday on Wednesdays (no jacket or tie rule, though!). We kindly ask you to refrain from the following in our restaurant: track suits, shorts, pool shoes and bathrobes. Thank you! Follow your heart to the Hotel Bismarck: look forward to delicious dining and let our kitchen team surprise you each and every day of your stay with us! Bismarck parlour - alpine elegance! 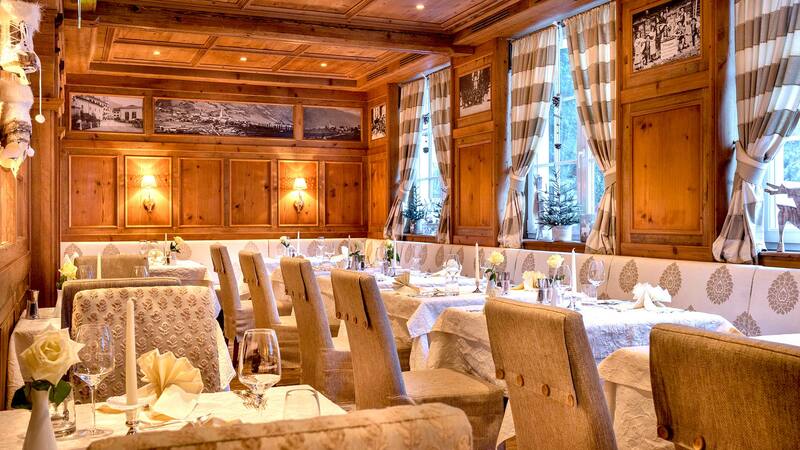 The Bismarck parlour radiates alpine elegance mixed with traditional Austrian cosiness. Earth tones and yellows, rustic wooden floors and a beautiful wood ceiling give the interior a sophisticated simplicity. You’ll love the warm tiled stove on your winter holiday with us. Fürsten parlour - fit for royalty! 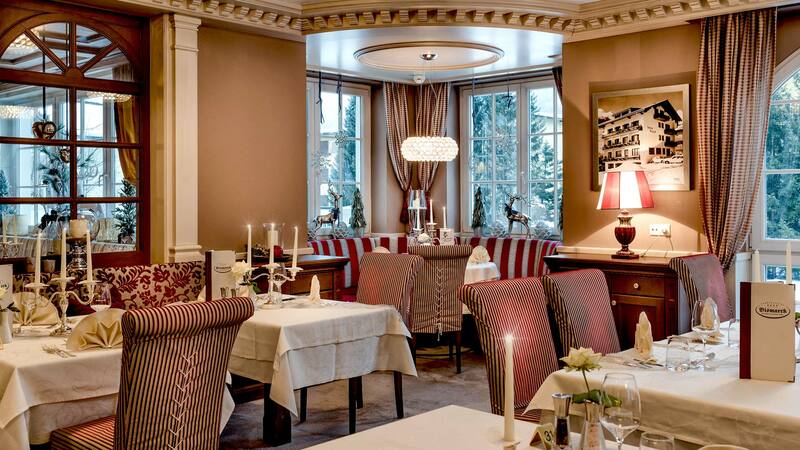 In our “Fürstenstube” (“prince parlour” in English) you will feel a touch of royalty, of pomp. Luxurious designer crystal lighting, varnished wood and regal dark red create the unique feeling of this room. This parlour is perfect for anyone who loves style and the finer things in life. 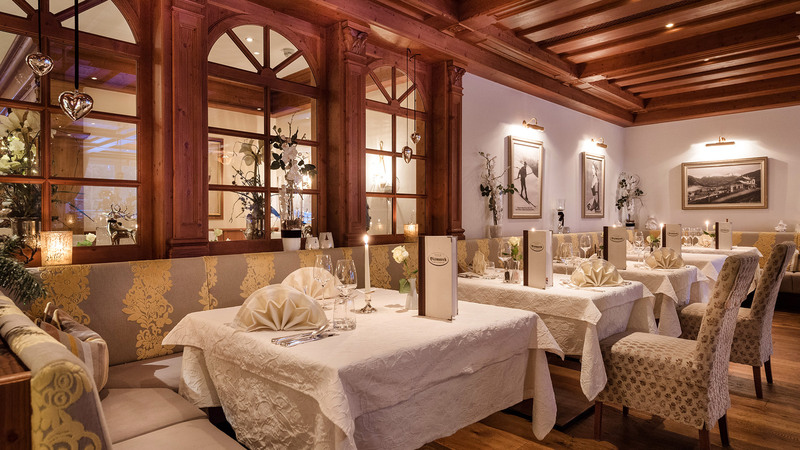 GASTEINER PARLOUR - RUSTIC COMFORT IN THE ORIGINAL GASTEIN STYLE! 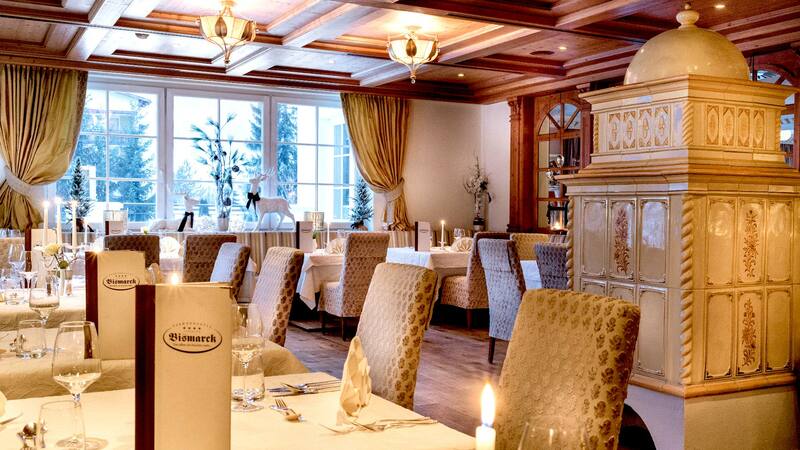 A highlight of the Hotel Bismarck is the original Gasteiner parlour. 200-year-old spruce wood and hardwood floors give off a feeling of warmth and comfort. This rustic gem is a real piece of Austrian craftsmanship. Wendler parlour - relax and feel great! The combination of vibrant colours and tasteful wooden accents makes our Wendler parlour a place where you will feel right at home. The bright, sun-drenched dining room is reserved for families on summer or winter holidays with children who will find plenty of room at these spacious tables. A small, cosy dining room, the Salzburger Parlour is perfect for small events such as birthdays, family parties. In winter, we serve cheese and meat fondue here. This room is also suitable for small seminars or meetings.